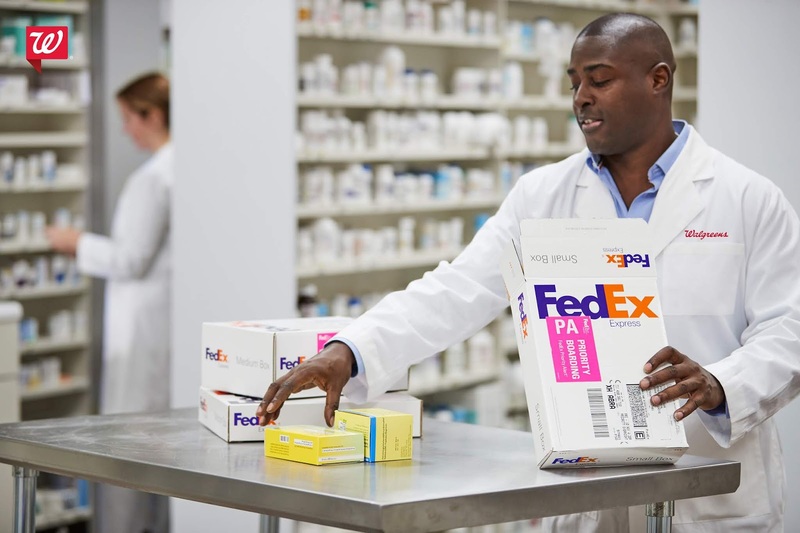 Walgreens Teams Up with FedEx for Next-day Drug Delivery across the U.S.
Pharmacy chain Walgreens has teamed up with FedEx for the launch of a next-day prescription delivery service across the U.S. merging its wide spread of pharmacy stores across the country with FedEx's air-and-ground delivery network to improve convenience for patients. The service dubbed Walgreens Express will allow patients to preview their cost, prepay for eligible prescriptions and choose between home delivery or pickup at Walgreens stores. Dedicated Walgreens Express pickup checkout lines will be provided for those who choose to pickup their prescriptions in stores. Patients who use the service will receive text notification when qualifying prescriptions are ready and will be able to have this delivered right to their home as early as the next day for a $4.99 standard fee. Same day delivery is available in select markets and will be expanded nationwide next year. For next day delivery, Orders have to be received by 4pm, Monday through Friday. Some prescription benefit plans and insurance plans also do not allow home delivery. Same day delivery is currently available in Dallas, Chicago, New York City, Gainesville, Miami, Tampa, and Fort Lauderdale.